Supported by a team of dexterous professionals, we have been able to offer the clients Industrial Air Compressor. Our procuring agents ensure that the raw material for the product are sourced from certified vendors only. 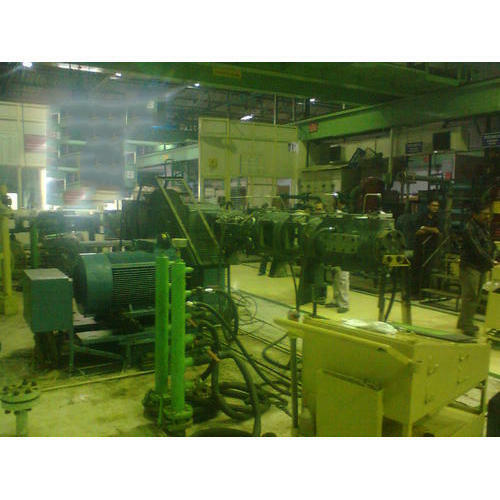 We offer these compressors in different sizes and specifications to meet the varied needs of the clients. To ensure the flawlessness of the products, these are tested on different parameters by the quality controllers at our premises. We Adson Engineering Corporation, are one of the leading manufacturer and exporter of premium quality Gas Compressor, Air Compressor, Booster Compressor, PET Compressor etc.. Leveraging on the vast industry experience of 7 years we have been able establish a recognized name in this domain. Our products are widely acclaimed in the market for their superior quality, high performance, low maintenance, reliability, easy installation and durability. These are developed using high grade components that are procured from some of the most reliable vendors in this industry. To fulfill the variegated demands of our clients we have set up a advanced infrastructure facility. We have divided our infrastructure into various units that includes a manufacturing unit, quality testing unit, research and development unit and a capacious warehouse. Our production unit is installed with high grade machines and equipment that enable our professionals to meet the bulk requirements of our clients within the stipulated time frame. Further, our warehouse is segregated into different divisions in order to maintain a proper record of all the goods that enter and exit the warehouse.